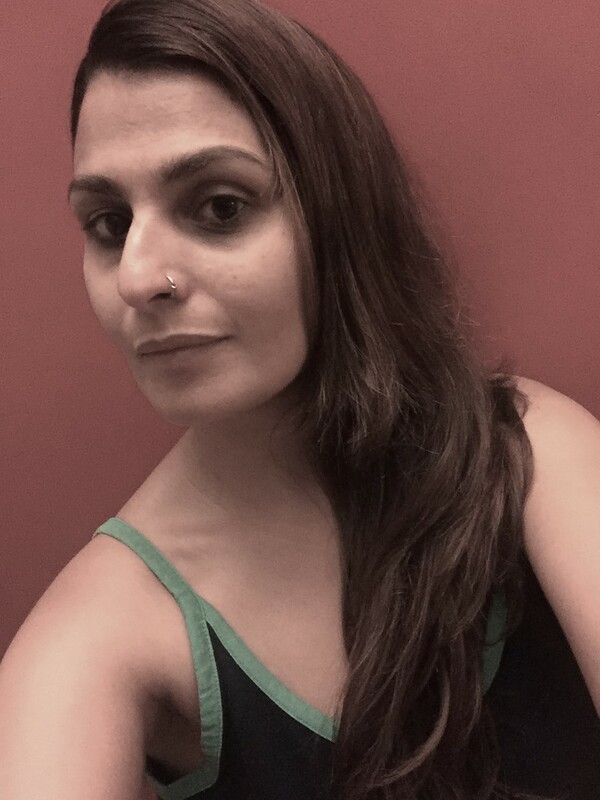 I am always on hyper mode, time is always less and so much to do. The constant rush leaves me tired and exhausted from time to time. And that doesn’t help my face or eyes. 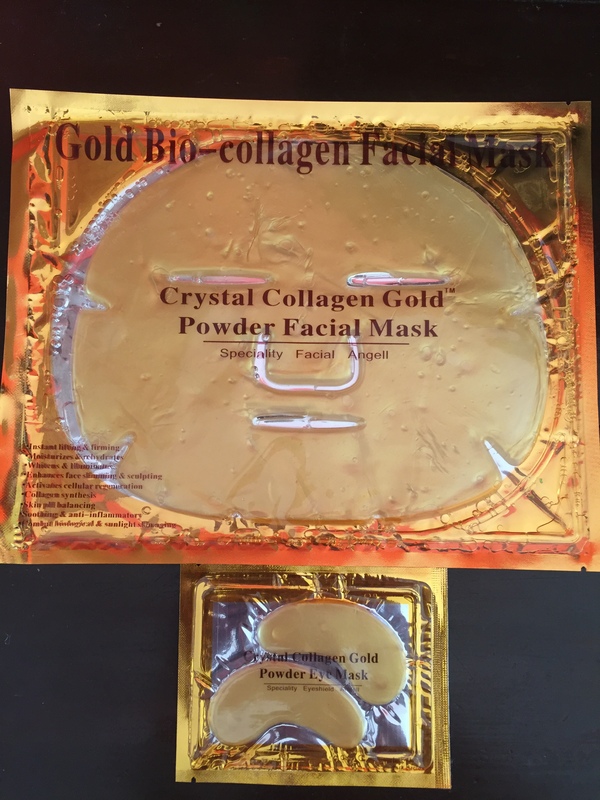 So, I decided to use this collagen gold face and eye mask to soothe my face and eyes. These are made with cloth drenched in hydrolyzed collagen and other anti-aging ingredients. These collagen masks act like super foods for your face. Payal’s Impression:- I brought these from Denmark. I liked the initial information I read about it. The pack says it reduces puffiness, moisturizes the under eye area and reduces appearance of wrinkles and fine lines overall on the face upon repeated use. Since collagen is the most abundant protein in our body, it also improves firmness and elasticity. They are fairly easy to use. 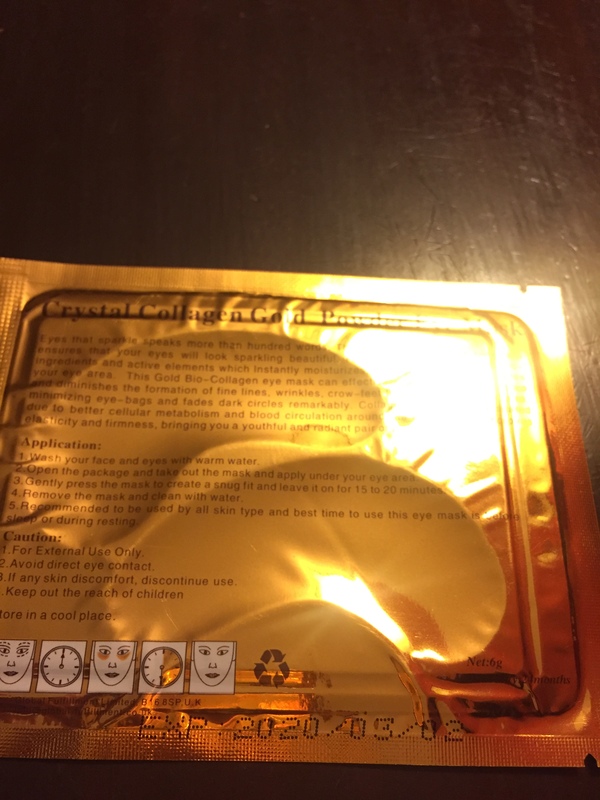 Open the sealed collagen eye or facial mask and apply to your eyes or face. Gently press it so that it is not hanging loose anywhere and creates a snug fit. Pricing:- I don’t remember how much I picked them up for, as I got a lot of stuff together. However, they are also available on Amazon and I saw some pretty good deals on them. 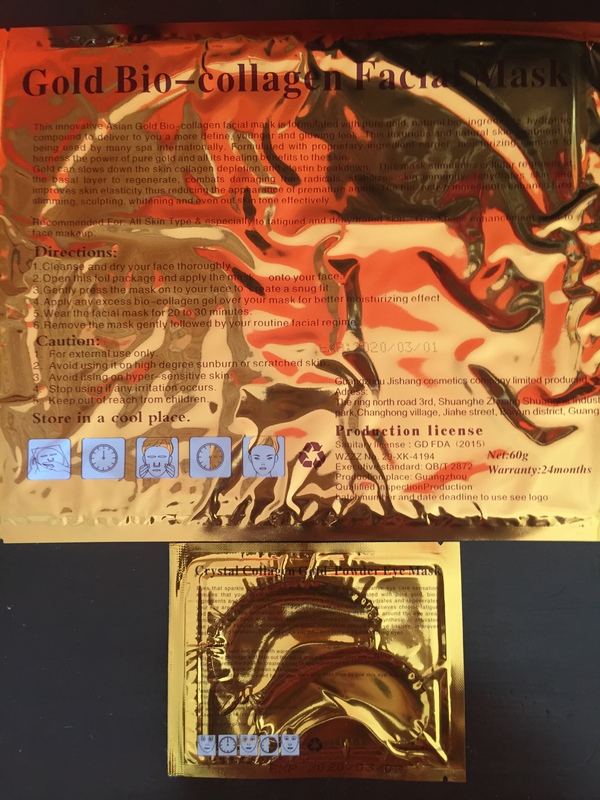 Packaging:- It comes in a clear packaging, with the eye patches and face mask visible. They are a bright gold, so look really attractive. All the instructions are on the main cover itself, which is brilliant as you can read the same before you decide to buy them. 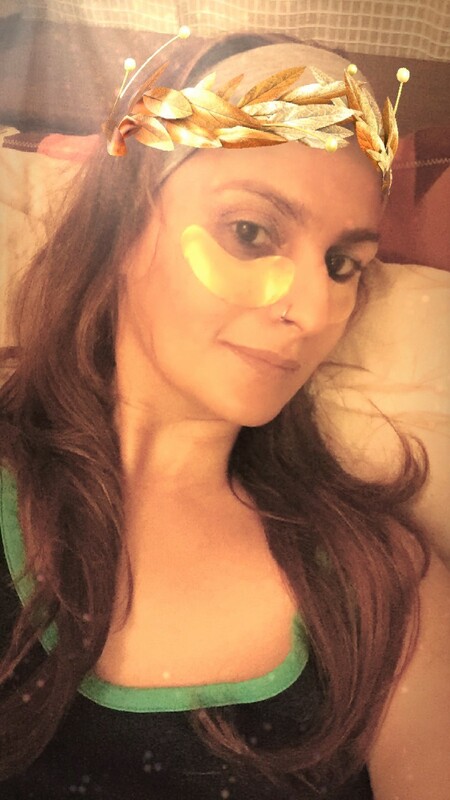 Yay or Nay:- I don’t know the long lasting benefits of these eye and face masks but the first hand experience has been lovely and I cant wait to try out more. 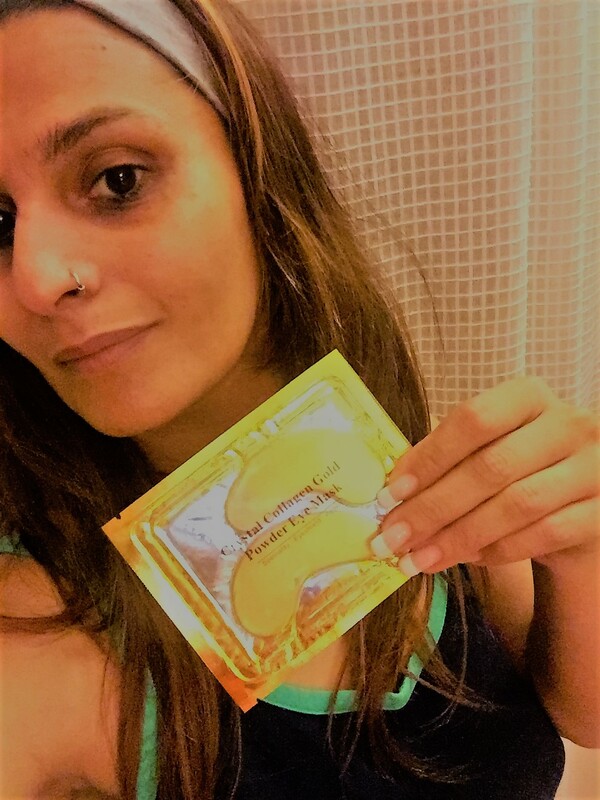 Do share your experiences about any eye or face masks you have tried out. Next Post The Art of Make Up!